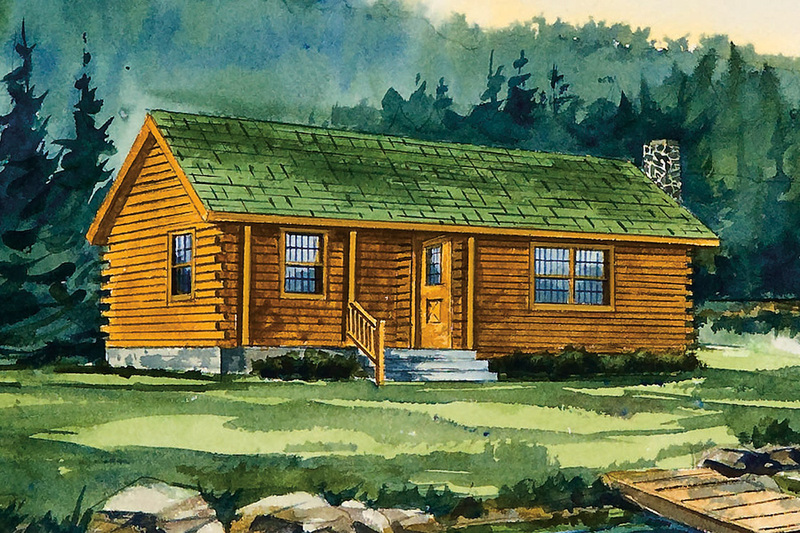 The Retreat is the perfect log cabin for that place on the lake or clearing in the woods. Almost everyone dreams of that little getaway free from the noise of the city where the quiet solitude of nature is a calm and relaxing change. 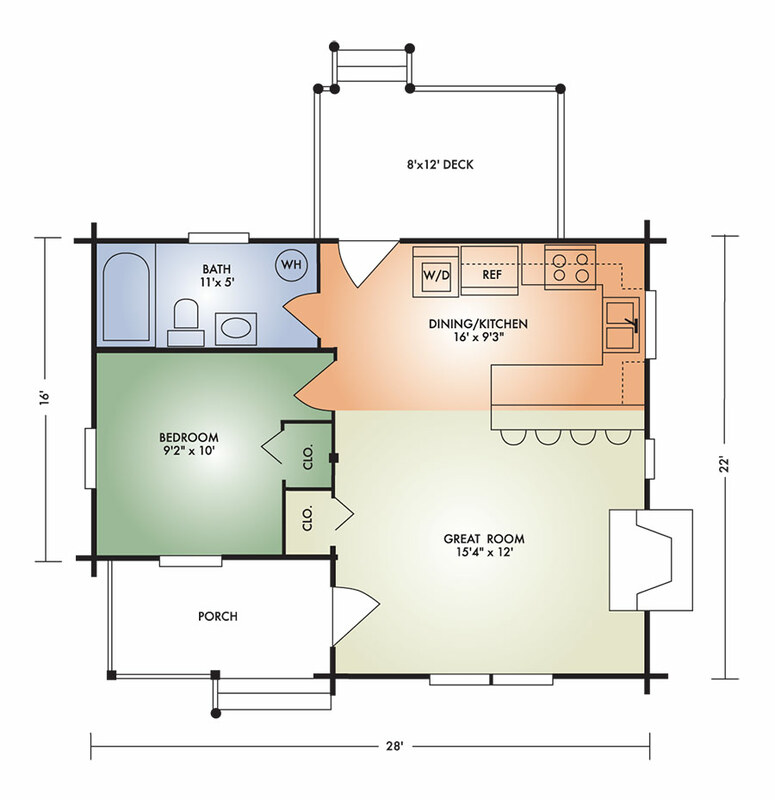 This cozy little cabin features a great room with exposed timber ceiling and fireplace, kitchen with convenient raised bar, and generous-size bath. Outside, a covered front porch greets visitors while a rear deck off the dining area offers a relaxing barbeque while enjoying nature. You'll be proud to own this authentic log cabin that fits almost anyone's budget.